We have 3 feral cats that live on our back porch. They seem to think these are delicacies! My wife heard what she thought was a child screaming to find the cats playing with one. So far they have killed two. I believe it is M. tredecim. Thanks for the cool photos. 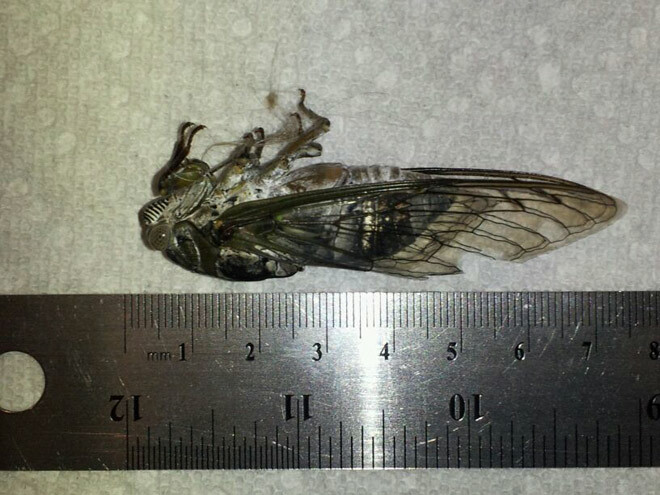 Unfortunately, this cicada is not M. tredecim. 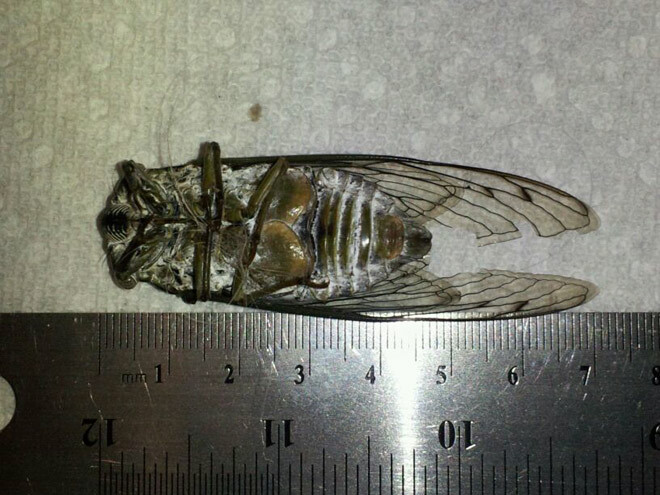 That species is one of three periodical cicadas from Brood XIX that emerged in your area a month ago. This specimen is a lot cooler. 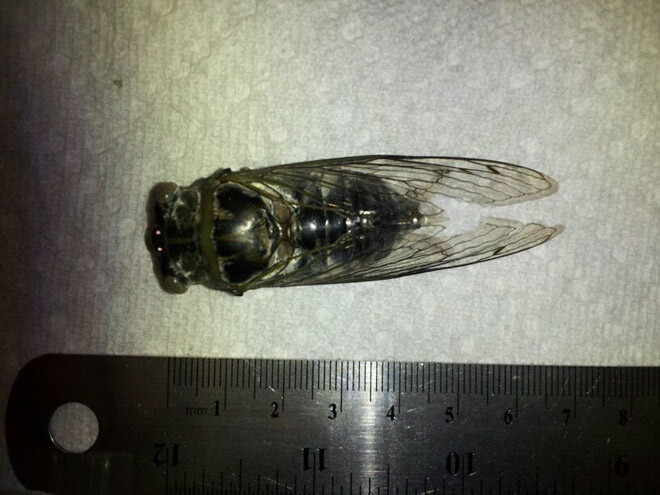 It is known as Tibicen auletes and is one of the United States' biggest cicadas. Thanks for providing the ruler for scale. This specimen is actually a male as indicated by the opercula which can be seen at the base of the abdomen your first photo.